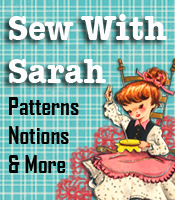 If you’re new to the SewingBusiness blog, and have joined us to figure out a way to make some extra money with your sewing abilities, you’ve come to the right place! Many people “talk” about wanting to make some money from all the things they love to make (and what other people love to receive as gifts, I might add) – however most of us never do anymore than just talk about it. However, thousands take the plunge every year, and you could very well be one of them! Selecting the right items to make is a big factor in any home business enterprise. Fancy linen guest towels are not likely to be big sellers in this paper-towel age! There must be a need for the items you make, or they will not sell. All sorts of year-round items can be adapted, with slight redesign, to sell on special occasions or holidays, so you might think of such seasonal possibilities as Christmas, Easter, etc, when designing a product. Your big volume of business will come on these occasions. For example, animal shaped pot holders might be made to resemble bunnies around Easter, and Christmas tree and gingerbread pot holders would be good for Christmas gifts. If you are short on ideas, you might visit some gift shops to get suggestions. Newspaper ads, shopping columns, fashion and decoration magazines, and window displays are idea-provoking. Embroidered cowboy shirts, doll clothes and unique children’s items would make great items to sell. To get you started sewing craft items and selling them, you might want to read How To Make Cash From Your Crafts, to get a better handle on what you need to do in order to accomplish your goals. If you’re really not into making craft items and would just like to start doing some sewing or alteration work to bring in a little extra money, get all the information you’ll need from the Profitable Clothing Alteration Business book. Whether you choose to go into the crafting area or sewing/alterations, one thing to remember is to do as much work “production style” as you can. For example, if you’re sewing those pot holders, do a stack of the same color at one time, then move onto a stack of another color. If you’re doing alterations, do as much stuff as possible with white thread before moving on to blue thread, etc — the quicker you can get things done, the more profit there will be for you.